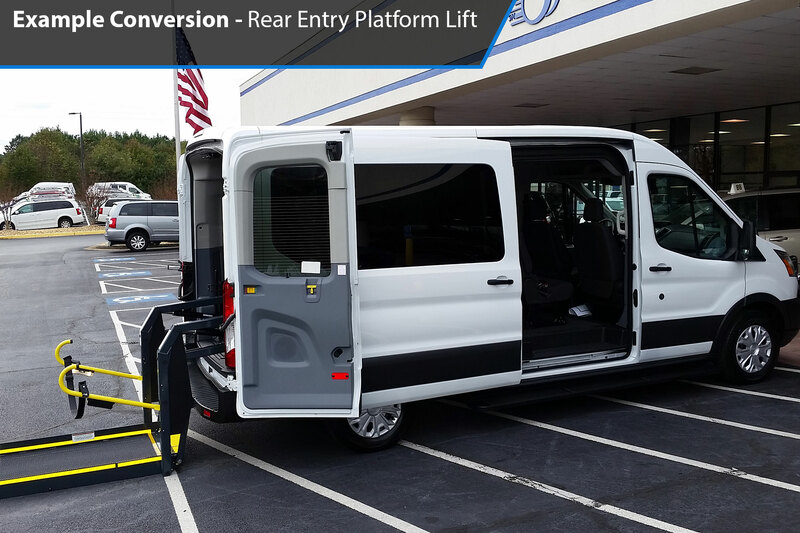 The RICON Lift can be installed on the Ford Transit, along with several other models/makes. 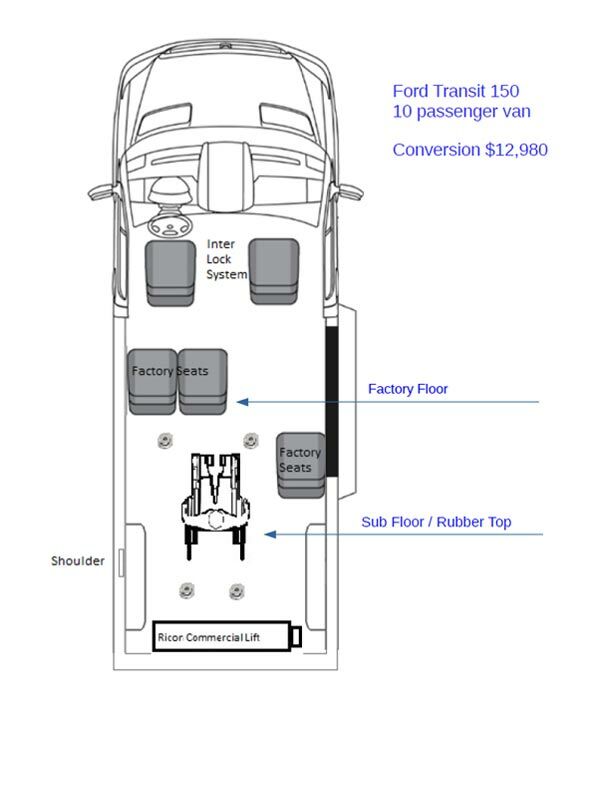 Call us for more details about what kind of conversion YOUR vehicle may be eligible for. 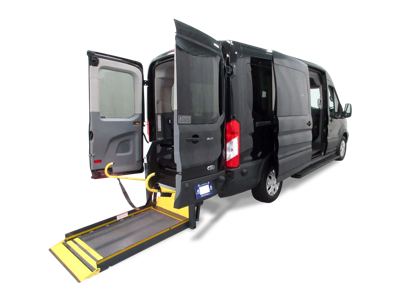 All of the wheelchair vans we sell pass our rigorous 134-point certification inspection!